Mommy foodie got into the Bento craze when school started this year. Preparing Bento Boxes for kids have been around for quite some time now and there are already a lot of Bento Box tools that are readily available in the market today. Since mommy foodie has just begun her bento adventures, her only tools are cookie cutters, stamps, and a lots of imagination to create some fun snack boxes for her kids in school. 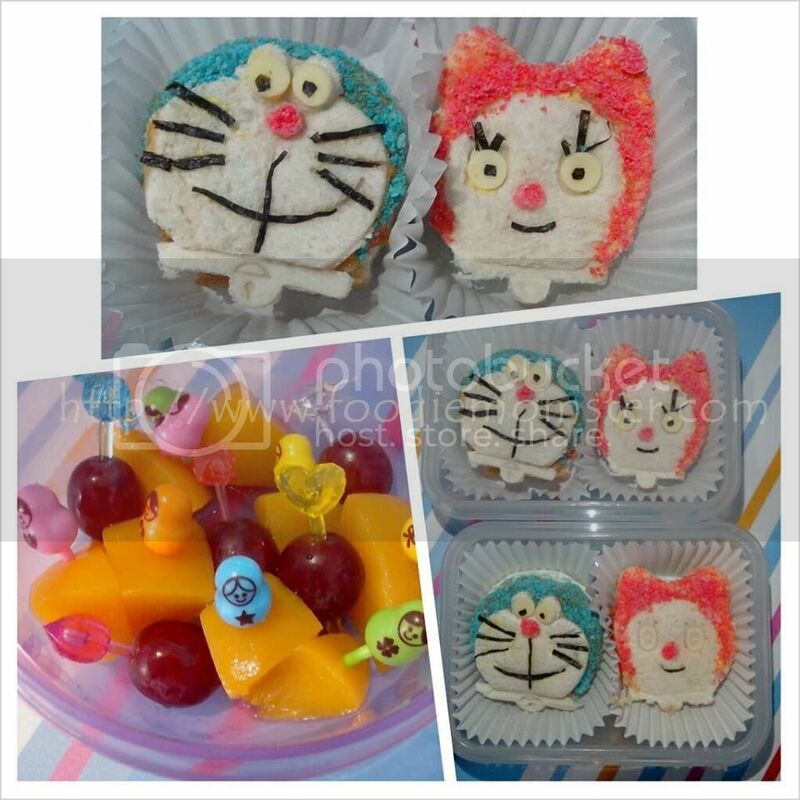 Here are some of her first Bento creations where she fiddled with popular cartoon characters. Simply Cheesy Mickey Puto made from Maya Puto Mix and cheese slices cooked and shaped using Mickey Shaped Molders. A hearty Sponge Bob and Patrick Breakfast made with Ham, Egg, Cheese, and Pepperoni, laid on top of freshly steamed white rice. Doraemon and Friend Sandwiches are Ham Sandwiches decorated with cheese, nori, and crushed fruit loops.